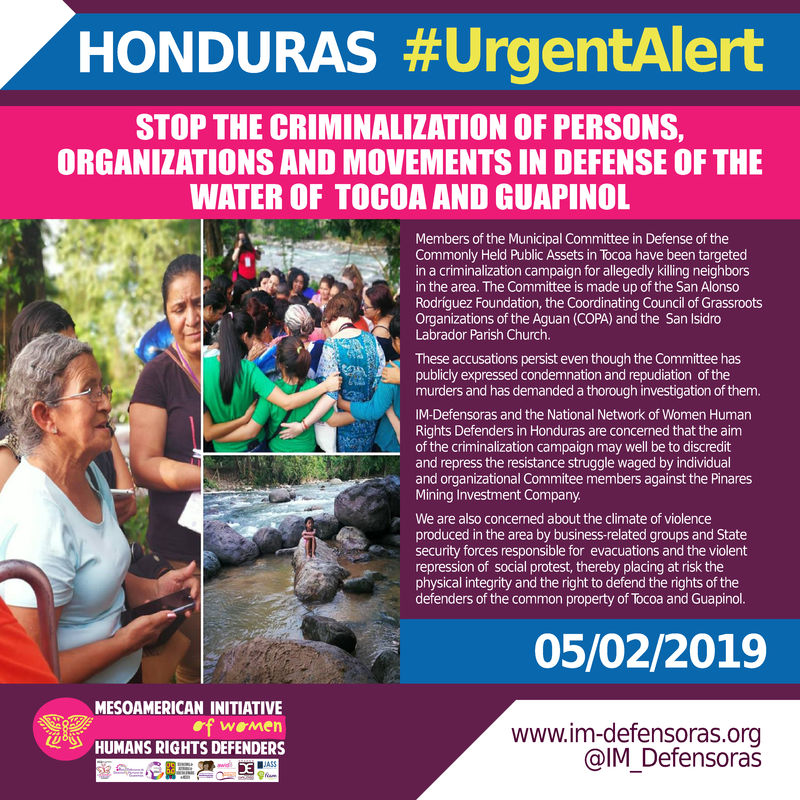 Members of the Municipal Committee in Defense of the Commonly Held Public Assets in Tocoa have been targeted in a criminalization campaign for allegedly killing neighbors in the area. The Committee is made up of the San Alonso Rodríguez Foundation, the Coordinating Council of Grassroots Organizations of the Aguan (COPA) and the San Isidro Labrador Parish Church. These accusations persist even though the Committee has publicly expressed condemnation and repudiation of the murders and has demanded a thorough investigation of them. IM-Defensoras and the National Network of Women Human Rights Defenders in Honduras are concerned that the aim of the criminalization campaign may well be to discredit and repress the resistance struggle waged by individual and organizational Commitee members against the Pinares Mining Investment Company. 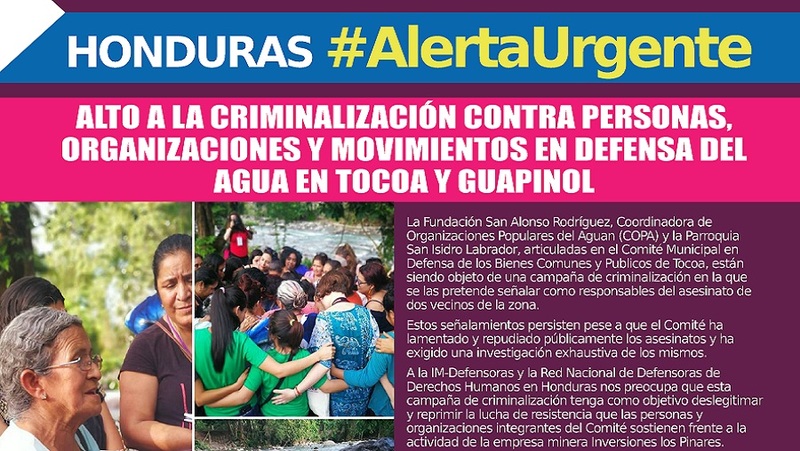 We are also concerned about the climate of violence produced in the area by business-related groups and State security forces responsible for evacuations and the violent repression of social protest, thereby placing at risk the physical integrity and the right to defend the rights of the defenders of the common property of Tocoa and Guapinol.